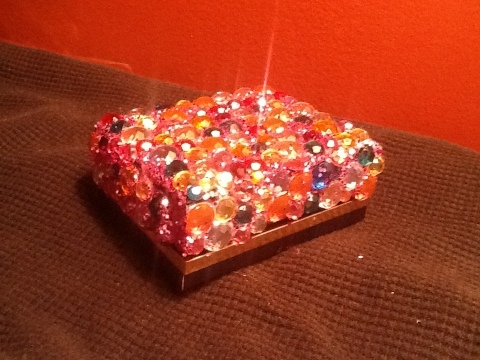 Bling bling! | ARTZCOOL'S BLOG! 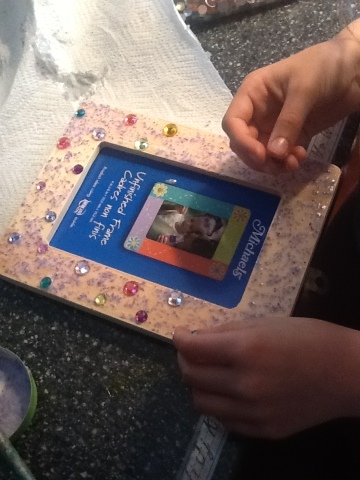 We needed a mothers day craft for girl guides this week, and we had picture frames, so I thought we could add a little sparkle to them..
To add some bling to a picture frame, you need, white glue, plastic rhinestones, glitter, and of course a picture frame. 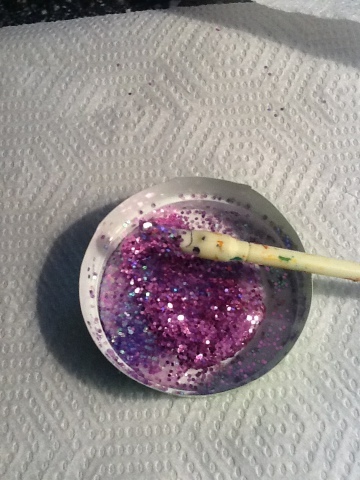 Now, I love the bling-bling sparkle of glitter as much as any girl does, but I have been teaching long enough to know what a massive mess is created by a group of kids and even the smallest amount of glitter! 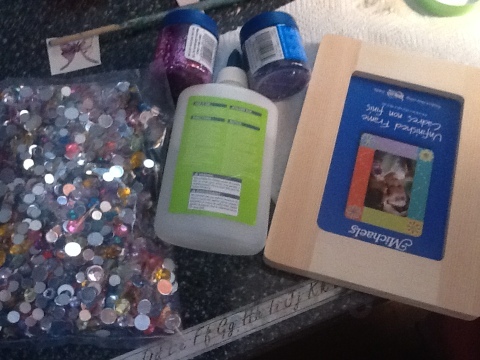 So, my solution to this it to make your own glitter glue. It is also a whole lot cheaper than store bought glitter glue! 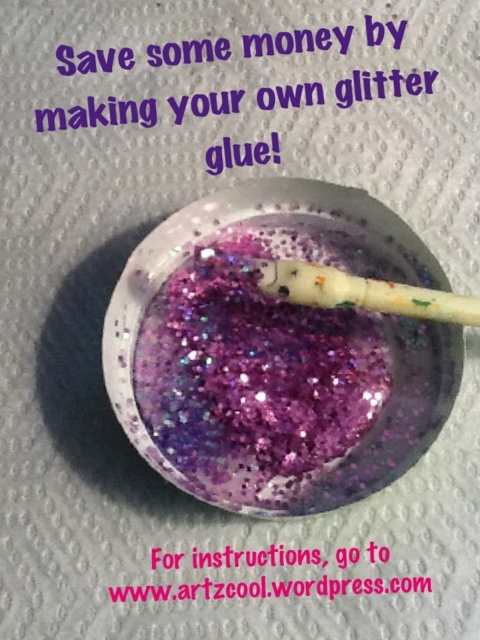 Start by pouring a small amount of glue into a small container, then add some glitter and mix it with a Popsicle stick. 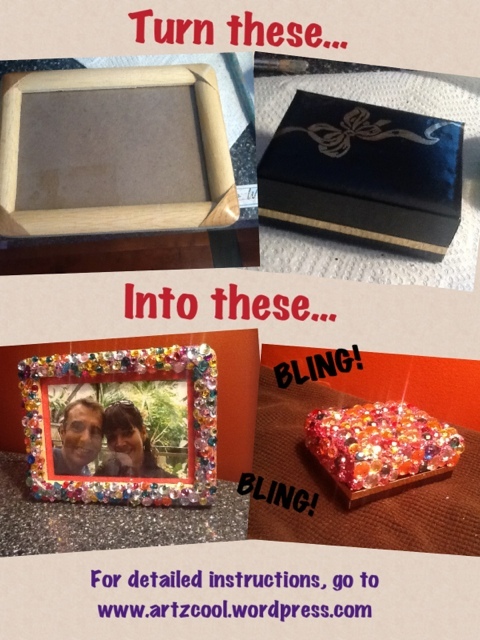 Use the glue the same way as you use normal glue… Sooo much easier to manage! If you are doing this with a group of kids, give them each their own little container, and have them mix their own… If you can find any, film canisters work great! I saw on my pinterest account that someone had done this to cover an easter egg… That would be cool! 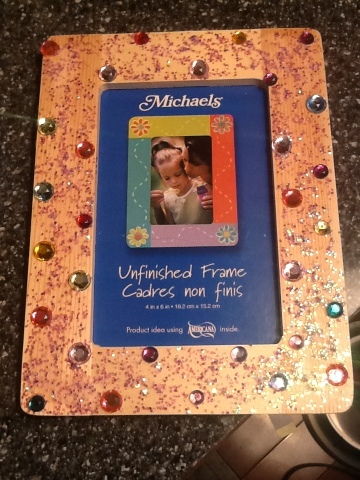 What a great idea and so easy….think I will try to do this for maybe Mother’s Day with Max? 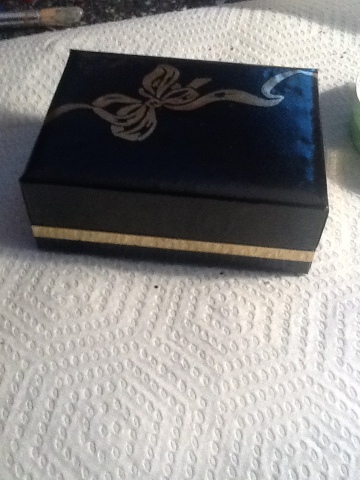 Wonder if a boy would get into it………….we shall see. Then again I have to have him on his own which may be difficult during school year……hope to see you soon Ellen. Perhaps at a baseball game. Great idea and designs. Rhinestones never fail to catches human eyes. Splendid and elegant! Good! But how long can we use for? And can it last a lot of days?? By the way, it’s AWSOME!!! Hi, as long as it is in a sealed container, it should last for at least a couple weeks. The colour from the glitter did come off a little and coloured the glue, after sitting for a while, but it still looks good when it dries. 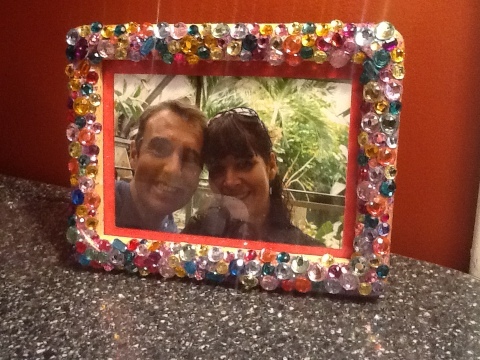 I wonder if you could just dump the glitter into your glue bottle. I would think that would work as well…I will have to add that on my list of thinks to try this summer!